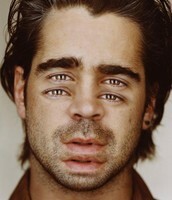 Inhalants are Man made. They are intended to be used as household, industrial, and/or commercial uses. Inhalant powders are produced by mixing a first ingredient with a carrier. While mixing these, crumble agglomerates into the mixture. Then, add fine powders to the mix. How do People Take Inhalants? Inhalants are breathed in through the mouth or nose. They are first sprayed into a plastic bag, poured into a bottle, or soaked onto a cloth. The economy was costed $193 billion. The costs were in three areas: crime, health, and productivity. Our society had to pay higher taxes to pay the police to arrest people for misusing inhalants. This falls under the crime area. People taking inhalants were most likely to be sick and in need of healthcare. People had to pay for their health care bills. Also, doctors and nurses would have to be paid more money for doing more work or maybe working more hours. Productivity. 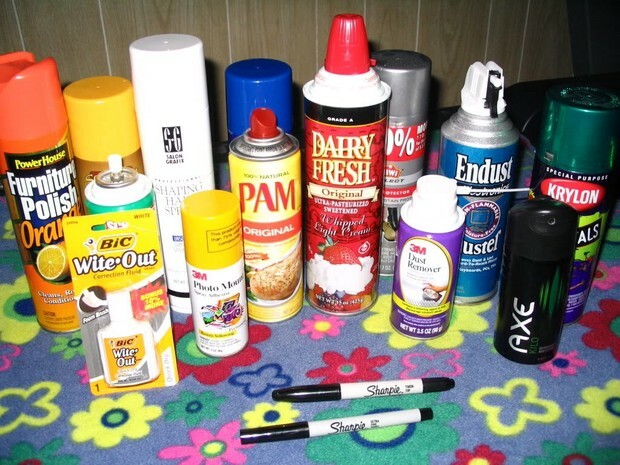 The more people that buy inhalant products, the more that factories have to make. Also, the different inhalant products can vary in prices. Some can be more expensive than others. If more people buy them, then the economic cost could go up. 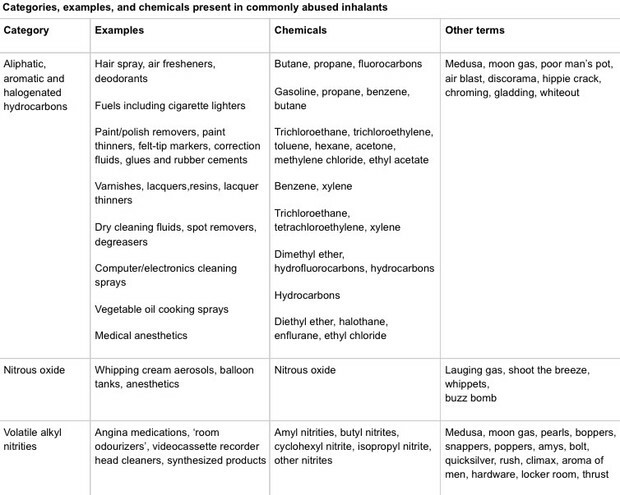 There are four types of inhalants.